One of the major wildlife sanctuaries attractions of Uttar Pradesh, Nawabganj Bird Sanctuary in Uttar Pradesh is spread over quite small area of less than 3 square kilometers. Nawabganj Bird Sanctuary is located 35 KMs from Lucknow, and home to several migratory and water birds. Bird species found here are Red Crested Pochard, Graylag Goose, Gadwall, Shoveller, Pintail, and Mallard, etc. November to March is the best season to visit Nawabganj Bird Sanctuary, since this is the time when many species of migratory birds come here. The sanctuary includes a shallow lake bordered with mixed dry forest. 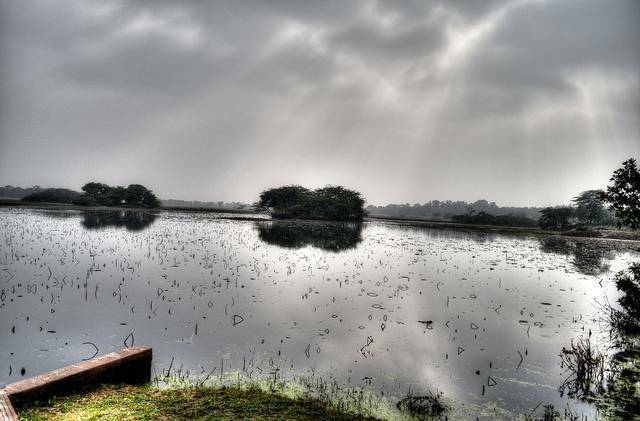 Nawabganj Bird Sanctuary is an ideal for photographers and picnic lovers. To educate the visitors of visitors regarding birds, an Interpretation Centre has been established inside the Sanctuary. A small park, comprising the deers has also been established in the vicinity of the sanctuary. As such, the Nawabganj Wildlife Sanctuary is an ideal weekend getaway.